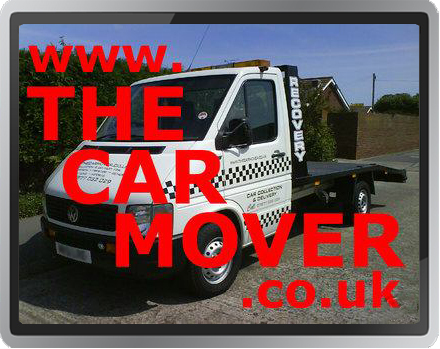 I offer a quick, professional and friendly vehicle collection and delivery service that covers the UK. The cars I collect are delivered door to door on the same day by myself with the customer being kept upto date at all times. I transport my customers cars on a purpose built flat bed recovery truck, which has an electric winch fitted so that I can transport non-runners too. I am fully insured with your car onboard and use the latest sat nav device with traffic updates on my journeys which helps me deliver your car in the shortest possible time. I offer a reliable and flexible service 7 days a week. Unlike many others, transporting your car at a weekend is not a problem. I am south east based (Kent) but work nationwide offering extremely competitive prices. When possible I fit jobs in with each other on the same day, cutting my costs and milage down so that I can pass the savings on to you. I transport most types of cars from classics up to present day vehicles ranging from restoration projects to concours. I also collect a lot of cars purchased from auctions and imported cars that have been shipped in to UK docks from all around the world. I carry two sets of ramps with me which enables me to load low/lowered cars. I own and have owned quite a few classic cars over the last 10 years and take them to a lot of shows around the country each year so you can be sure that I will treat your vehicle with the care and respect I would want my own cars to receive.